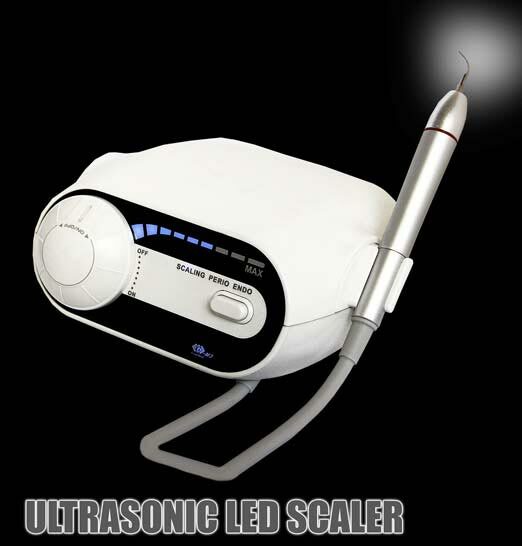 We are among the strongest Manufacturers, Exporters and Suppliers of Ultrasonic LED Scaler in India. Scaler is a sealed hand piece with light, used for automatic frequency tracking. Scaler offers continuous 1500 hours strength test without problem. The main unit input of Scaler is 24Vac 50/60Hz. It simply works on three modes - perio, endo, & scaling.